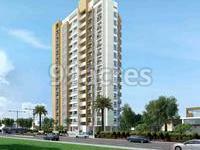 Kraft Ananta in Ambawadi, Ahmedabad West by Kraft Constructions is a residential project. Bio Metric or Card Access Main Door and Lobby.  The size of the APARTMENT ranges in between 1375 sq.ft. and 1375 sq.ft. Kraft Ananta price ranges from Rs. Rs. 1.11 Cr to Rs. Rs. 1.40 Cr. Kraft Ananta offers facilities such as 24/7 water supply.It also offers Car parking. This is a RERA registered project with registration number PR/GJ/AHMEDABAD/AHMEDABADCITY/AUDA/RAA01024/15. Bank loan approved from ICICI. It is an under construction project with possession offered in Dec 2019. The project is spread over a total area of 0.36 acres of land. It has 71% of open space. Kraft Ananta has a total of 1 towers. The construction is of 14 floors. An accommodation of 42 units has been provided. You can find Kraft Ananta price list on 99acres.com. Kraft Ananta brochure is also available for easy reference. The real estate market of Ahmedabad West shows positivity with increasing demands from buyers and supply from developers. With improving physical infrastructure that better connects the micro-markets of the city, Ahmedabad West has seen a positive impact on the realty market. What is the location of Kraft Ananta?The location of the project is Ambawadi, Ahmedabad West. What is available flat size in Kraft Ananta? Flat sizes in the project range from 1785.0 sqft to 2246.0 sqft. What is the 3 bedroom size in Kraft Ananta? The area of 3BHK units in the project varies from 1785.0 sqft to 2246.0 sqft. What is the area of Kraft Ananta?The total area that the project occupies is 0.36 Acres. How much is price of 3bhk in Kraft Ananta? The price of 3 BHK units in the project ranges from Rs. 11156250 to Rs. 14037500. What is the price of flats in Kraft Ananta? Average unit prices in the project stand between Rs. 11156250 and Rs. 14037500. Kraft Constructions is a name synonymous with quality and reliability. It was established with a vision of providing high quality projects which would be a result of careful planning, meticulous execution and timely completion. The company has several prestigious projects to its credit that stand as testimony to its name. It is backed by a team of highly qualified and experienced team of professionals who work relentlessly for the pursuit of excellence. It aims to create world-class real estate and set new standards in the industry.